films. The actress has now bagged two legendary Biopics, where she'll be seen as former Chief Minister Jayalalitha in the biopic titled “The Iron Lady” and in the role of legendary actress Savitri in NTR Biopic. The Iron Lady, a biopic on Jayalalitha will be directed by A. Priyadarshani and produced by Papertale Pictures. 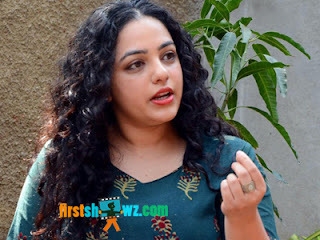 Nithya Menon plays titular role and the film is likely to emphasize more on her political journey than the film career. Nithya also has bagged legendary actreess Savitri role in the biopic on veteran actor NT Rama Rao. Bala Krishna is playing titular role, and Nithya's role will be brief, though an important character in his biopic.